The domain (venukb.com) including the hosting was up for renewal this month. I had setup my site on 23rd of April previous year(2006) and it was then registered/hosted on Godaddy ! Godaddy economy hosting(around 3.5$/month) was a good plan to start with; The hosting took care of the initial traffic pretty nicely. But as traffic to the site increased the site became slower and slower. On the top of this there were number of instances when the site was completely down. Also the number of sites that Godaddy hosts on a server is very high. Whois.sc gives a good count of the number of sites sharing your server. My site shared traffic along with 3700 other websites !! However support from Godaddy has always been quick and I would recommend Godaddy hosting for anyone who wishes to start their own web site. After doing a little bit of “googling”some of the hosting providers that I shortlisted included BlueHost, Dreamhost and Mediatemple. Media Temple’s is one of the few providers offering Grid based servers unlike the traditional shared servers. However unlike their punchline which says “Capable of handing very small to very demanding websites” I couldn’t find a “financial” plan which fits small websites. Prices start at 20$/month and it was definitely a big ask for me ! Finally I settled on Dreamhost (Bluehost was eliminated for a couple of reasons including this post 🙂 ). 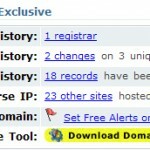 Also by using a Dreamhost coupon code I got a pretty good bargain for a L1 hosting. Support for PHP4/PHP5/SVN/Ruby on Rails and many more ! I had never moved from one web host to another and hence I was not completely sure of how to proceed. Initially I hadn’t input the Auth code(from my current registrar) which was necessary for Dreamhost to initiate the domain transfer. The next time I was told that I had a private registration I had to cancel it before transferring ! However when I typed http://www.venukb.com after some time I was in for a shock. 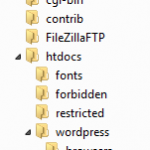 The nameservers which I set had already been committed and I was greeted with a blank page ! Fortunately Dreamhost had a 1 click WordPress install and I was able to bring my blog back online within few minutes. On my new hosting I am seeing a considerable speed change and I am hoping for a good experience with Dreamhost ! How to setup your own web site ! Well, the site is much faster now. So what plans do you have for completing 1 year in the blogosphere? Yup its faster, but the problem is there has already been 2 outages ! I hope everything is sorted out. The fastest site on DreamHost is a past DreamHost Site of The Month Winner, askApache. DreamHost is FAST, but you can make is even faster by following some of the tips at dreamhost speed tips.